After a 5 year hiatus because of World War 2, the first post-war Northwest was held at Oshkosh in 1947. 4LIYC’s FRITZ (with new owners, the Lunder brothers and Carl Bernard at the helm) won the A stern steerer trophy. 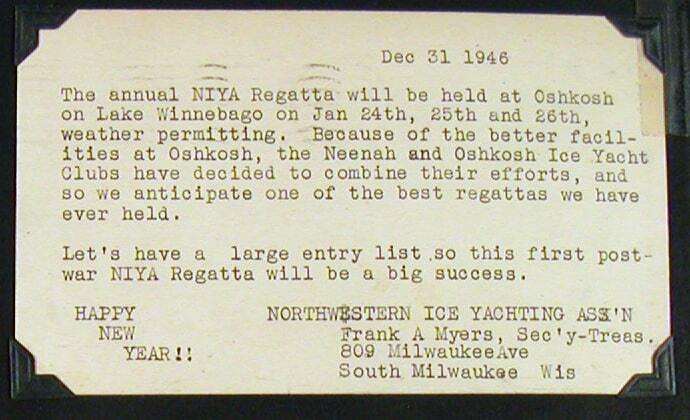 Ed Rollberg, who would go on to bring the Ice Yacht Challenge Pennant to the midwest a few years later, won the E Skeeter title. 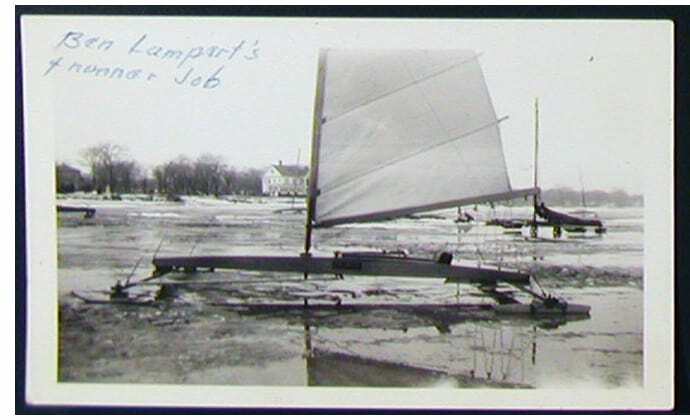 Iceboaters who served in WW2 came back with new ideas about boat building, particularly the great Elmer Millenbach. More about Elmer next time. 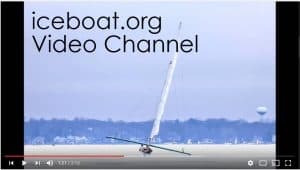 Shortly before the 1947 Northwest, Eastern iceboater, Ray Ruge, wrote an in depth article in Yachting Magazine about the state of iceboating in North America. Read it here.